Are you ready to improve teaching and learning for English learners and other culturally and linguistically diverse students? 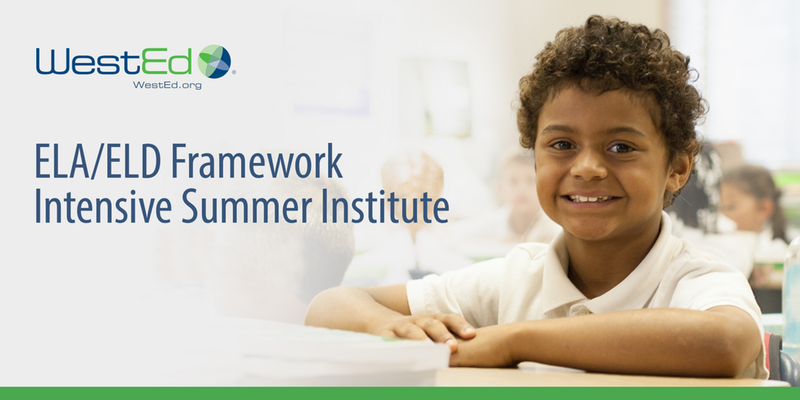 In these three-day intensive summer institutes, teachers and leaders learn how to implement integrated science, literacy, and English language development (ELD). The institute deepens and broadens understanding of California’s ELA, ELD, and Science Standards, as well as the California ELA/ELD Curriculum Framework, including supporting teachers to plan for integrated and designated ELD. Professional learning for teachers is differentiated into four grade spans: TK–1, 2–3, 4–6, and 6–8. School and district teams are highly encouraged to participate together in the three-day institute for optimal learning and implementation. An additional learning session, offered on the fourth day for a nominal cost, will allow participants to focus on leadership or application to Spanish dual immersion settings. Leaders will focus on site and district-level implementation. This session addresses topics such as professional learning, program components, and implementing and sustaining effective instructional practices. Dual Immersion teachers will learn how to approach language analysis and writing in Spanish, building upon the foundational learning from the previous three days.Teachers interested in the DI sessions will be divided into two grade span groups, TK–3 and 4–8, and space will be available on a limited basis. Specific times along with travel and logistics information will be sent out in a confirmation letter. If you have questions or would like more information about registration, please email: LeadingWithLearning@wested.org.